My name is Kevin Brown, the owner and operator of Ace Carpet Cleaning and Window Washing. Working alongside my father who operated a professional carpet cleaning business, I have been involved with this industry most of my life. The exposure to all aspects of my father’s business has given me a great passion for professional cleaning and restoration and prompted me to establish Ace Carpet Cleaning and Window Washing in 1999. In an effort to further my expertise and knowledge, I have completed many educational courses offered through The Institute of Inspection Cleaning and Restoration Certification (IICRC). Having completed as many courses as possible for the last fifteen years I always stay up to date with new technologies and advances in the industry. I take great pride in my work and have the experience and knowledge that you can count on. I guarantee that I will put 110% effort into making sure you are completely satisfied with the work performed by Ace and that every job is done to the best of my ability. I have had the opportunity to provide exceptional service to many great people and businesses in the community and thank you for your loyalty. I welcome new customers and look forward to hearing from you. Please ask me about a first time customer discount. I can also make referrals from my many satisfied customers available upon request. It is my goal to provide the highest quality of carpet care in the area. Providing services in Yuba City, Marysville, Lincoln, Sun City, Rocklin, Roseville and the surrounding areas. Please ring, text or email me for scheduling, estimates, or questions. 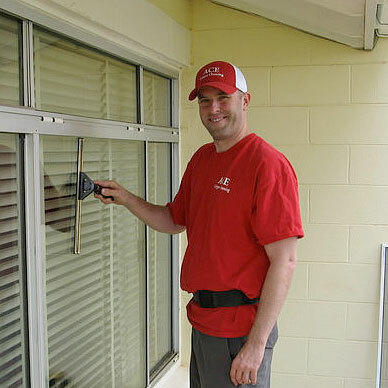 Kevin Brown has been operating Ace Carpet Cleaning and Window Washing since 1999.